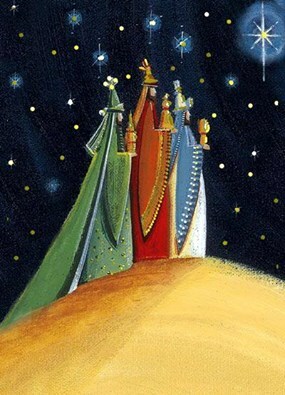 Today is Three Kings Day in Spain, a very special day spent celebrating with family, much like Christmas Day is here in the UK. 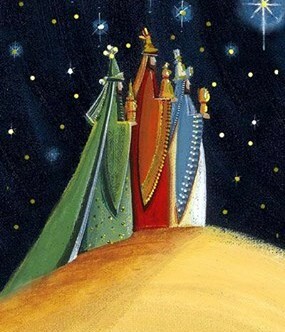 It is a national holiday celebrated across the country as the Three Kings arrive bearing gifts. The annual parades start at sunset on 5th January all over Spain, with crowds gathering to welcome the kings, and sweets and treats being handed out to children. Tradition has it that the children then leave out shoes to be filled with gifts from the Three Kings, and today is spent celebrating with family, food and the exchanging of gifts. It is a very special holiday for all in Spain and a great time to visit and observe the festivities. A very important meal on this day is Breakfast, with the Three Kings Cake taking centre stage. This is a sweet bread covered with dried fruits and sugar. Traditionally bakers will have hidden a small prize wrapped in paper as well as a bean. The one who finds the prize is named King or Queen for the day while the guest who ends up with the unlucky bean has to pay for next years Three Kings Cake – and considering that some of these cakes can be very expensive depending on the treats inside, nobody wants to get the bean! Good Luck!